If you run an air conditioning business, you know how difficult it is to manage so many clients and skilled technicians. 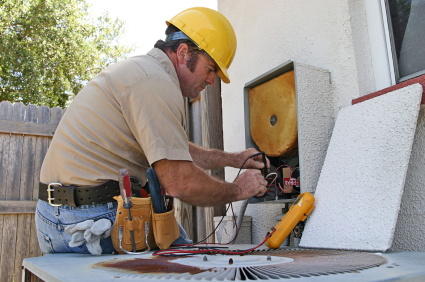 Unlike other service industries, air conditioning repair has a lot of "one and done" customers, with the potential for dozens of phone calls daily from brand new clients. With so much to manage, you need an easier way to keep track of clients, manage technicians, arrange projects and more. You can get that with ServiceCEO's air conditioning repair software – software designed specifically for business owners that work in air conditioning and other service industries. There is a need within the service industry for better management tools – tools that allow you to complete all of the tasks related to your business in one place, and do so in a way that is simple and easy to use. Reporting on your clients and marketing. The only thing this software cannot do is repair the air conditioning unit itself. Right now, to manage your business you probably have mountains of paperwork, difficult to use computer programs, and management tools that are prone to errors and malfunctions. But with ServiceCEO, you have everything you need in one place. Every single component of your business is easy to use, and connected to the other parts of your business so that there isn't any mixing and matching of paperwork or data. Nothing gets lost in the process. You can manage your business from anywhere in the world, as the entire program is securely web based and easily accessible for anyone with an internet connection. It allows you to manage your business from the office, from home, or from anywhere in the world. The ServiceCEO system is, by far, the most beneficial change you can make in managing your business. There is simply no other software available that combines all of these functions into one place, and does so in a way that's easy for anyone to use – even those that aren't computer savvy. If you're interested in learning more about the ServiceCEO difference, fill out the form to the right or take our product tour to see how the ServiceCEO platform works.